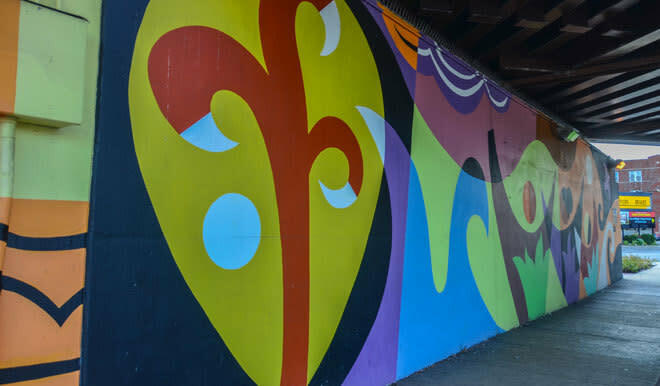 The mural under the overpass of the expressway at Addison & Avondale Streets is one of the newest murals in Chicago. 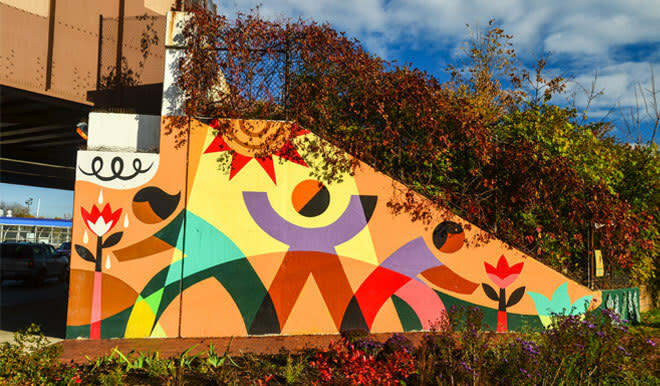 The mural's chief artist, Rafael Lopez, first came to Chicago for Oprah Winfrey to paint her school in South Africa as a birthday gift to her. Lopez is an illustrator and designer who grew up in Mexico City and is currently based in San Diego. 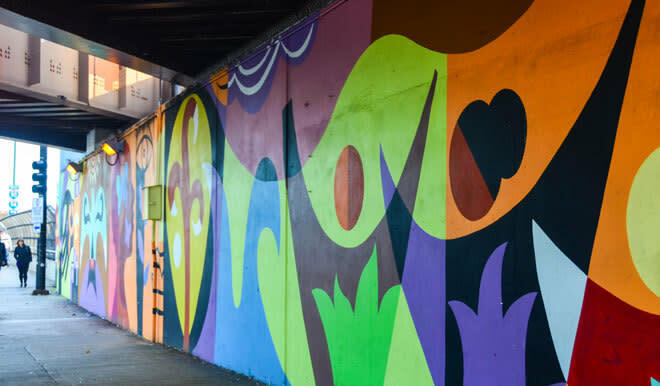 His work can be found in everything from children's books to murals to postage stamps.